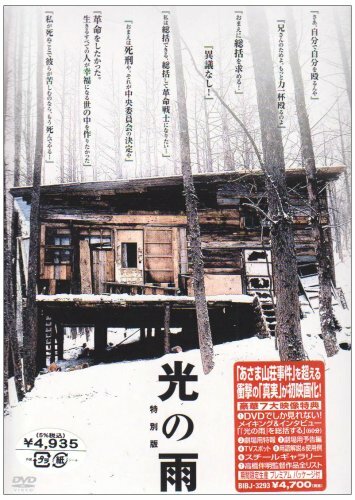 This documentary-style film recreates the infamous Asama Sanso Incident of 1972 wherein an extreme faction of the Students Allied Red Army holed themselves up in a mountainous cabin in the dead of winter. By the time the police finally caught up with them, it was discovered that they had murderously turned upon themselves in a bizarre extension of their radical philosophy. This event virtually marked the end of the Student Revolution. Other movies based on the same 1972 incident include (2002) Masato Harada's The Choice of Hercules and (2007) Koji Wakamatsu's The Red Army.